Openbox is a window manager for X Windows System. It aims to be small, fast and fully compliant with Inter-Client Communication Conventions Manual (ICCCM) and Extended Window Manager Hints (EWMH). 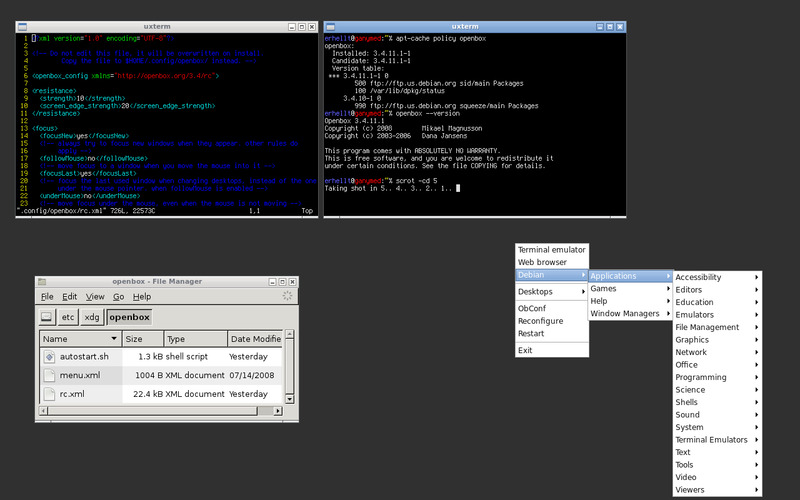 Openbox is standard window manager of LXDE and used in some Linux distributions. What is your favorite Openbox hotkey? Do you have any useful tips for program? Let other users know below.